The theme Rachel Ulanet explored in her solo debut at Feinstein’s/54 Below was her quest for integrity at a politically conflicted time; it centered around the third song in the set, Neil Young’s “Heart of Gold.” This was Young’s only U.S. #1 single; interestingly, it was recorded at a time when a back injury pushed him to scale things back and write for acoustic guitar. The through-line of Ulanet’s show had a similar sensibility of wanting to return to heartfelt basics. She emerged as a parent wanting a world that her children could live in happily, and she celebrated the life of her voice teacher, the late Laura Thomas, and her benevolent push to get Ulanet back on stage. The evening sounded particularly well rehearsed: It was as though Ulanet and her skilled band—musical director and pianist Matt Baker, Michael Blanco on bass; and Ray Marchica on percussion—were breathing together. In addition, the sound in the venue was particularly warm, clear, and dynamic. I found myself searching for what Ulanet’s ideal cabaret repertoire might be, and that’s not because the song choices weren’t good; in fact, they were great. Ulanet and her team—director Julie Reyburn and MD Baker—chose gems from the pop repertory and a few standards, such as “Moon River” (Henry Mancini, Johnny Mercer) and “My Ship” (Kurt Weill, Ira Gershwin). 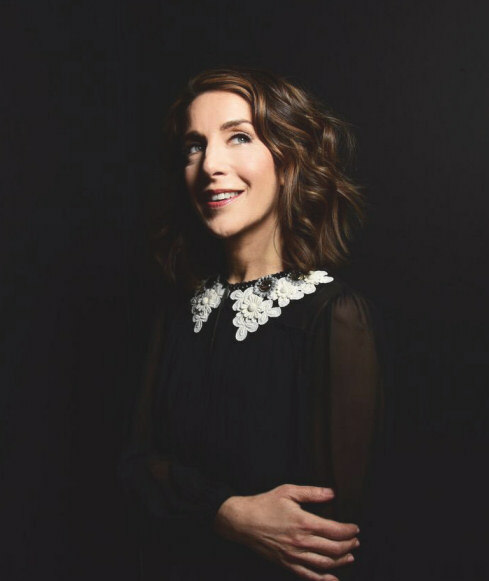 She’s got a technically-honed voice with remarkably even power throughout her range, and a presence that speaks to her years on big stages, including as the lead in Beauty and the Beast on Broadway. She can certainly pull back to a quiet, swinging, straight-tone sound, which she showed beautifully in Martin Sexton’s “Diggin’ Me,” but a subtle song seems to work best for her as contrast in an otherwise energetic set—her range and natural vibrato seem to be at home in more robust works. Since she’s not a contemporary R&B singer, and because she and her team wisely steered away from a slew of huge Broadway belter or Streisand chestnuts, the question remains: what kind of big songs is that voice reaching for? Arranging a simple song like Lennon and McCartney’s “I Will” with a big finish doesn’t seem to be the right answer to that question, although it was well performed and worth a test drive. I’m going to suggest that the answer is, unexpectedly, somewhere in the realm of certain styles of classic Motown or disco. Ashford and Simpson’s “Ain’t No Mountain High Enough” was a terrific example of Ulanet’s power and sense of fun being given room to play—it’s the clap-along part of the Motown catalogue. She also brought infectious joy to “Ease On Down the Road” (Charlie Smalls), framed by the story of her five-year-old self seeing André De Shields in The Wiz and from that moment developing a lifelong inspiration to perform; you could almost imagine her as a little girl bouncing around in her theatre seat. Stevie Wonder’s “Overjoyed” was a little less in her wheelhouse, so opening with it was problematic; some top-of-show adrenaline made it seem like an uncertain mix of stylistic choices (taking it in a jazz vocalese direction by scatting, doing it straight-ahead, and trying some soul styling). The second encore was another song made famous by Stevie Wonder, “For Once in My Life” (Ron Miller, Orlando Murden); this was a splendid fit for her and a lovely way to end the show. Baker’s arrangement started as a cool lounge rendition and then snuck in an unscheduled shift to party mode for the disco extravaganza of Earth, Wind & Fire’s “September.” Great fun. Because the May 29 performance sold out, a June 22 show has been added. I suspect it will be even better. From Canada, Penelope Thomas came to NY to study dance with Merce Cunningham; then through a series of fortunate and unfortunate events, she wound up back in singing and acting. Credits include lead vocals with FauveMuseum on two albums and live at Symphony Space, singing back-up for Bistro Awards director Shellen Lubin at the Metropolitan Room, reading poet Ann Carson’s work at the Whitney, and touring North America and Europe with Mikel Rouse’s The End of Cinematics. In Toronto, she studied piano at the Royal Conservatory of Music and cello with the Claude Watson School for the Arts, and in New York she studied music theory with Mark Wade. She's taught in the New School’s Sweat musical theatre intensive and taught dance in public schools and conservatories.